It's time for a lookbook round up. 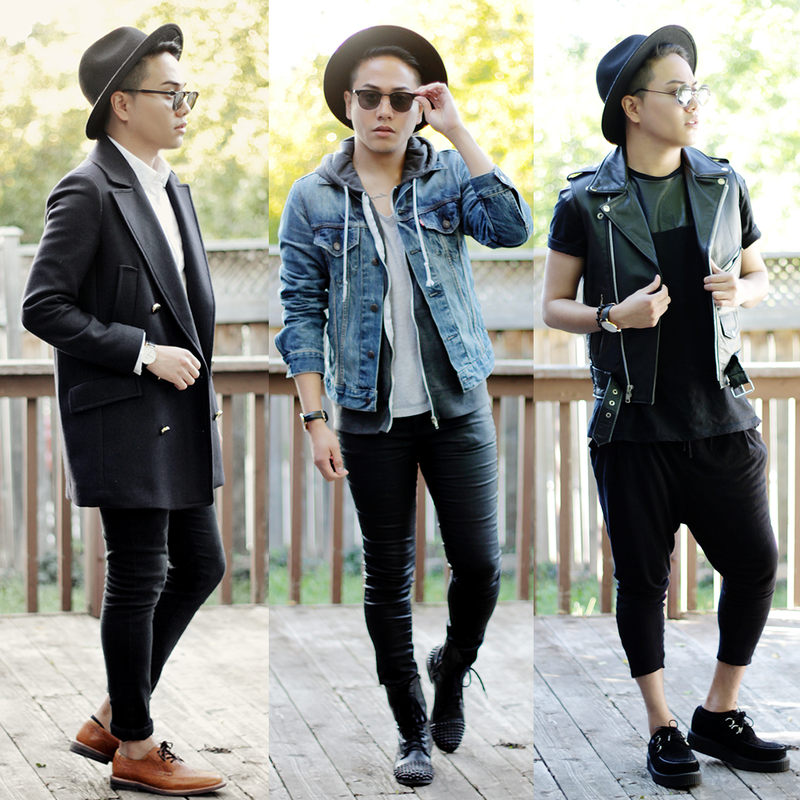 Here are some top mens fall looks i did for this season. Autumn is my favorite season of all. I personally love wearing coats and jackets. 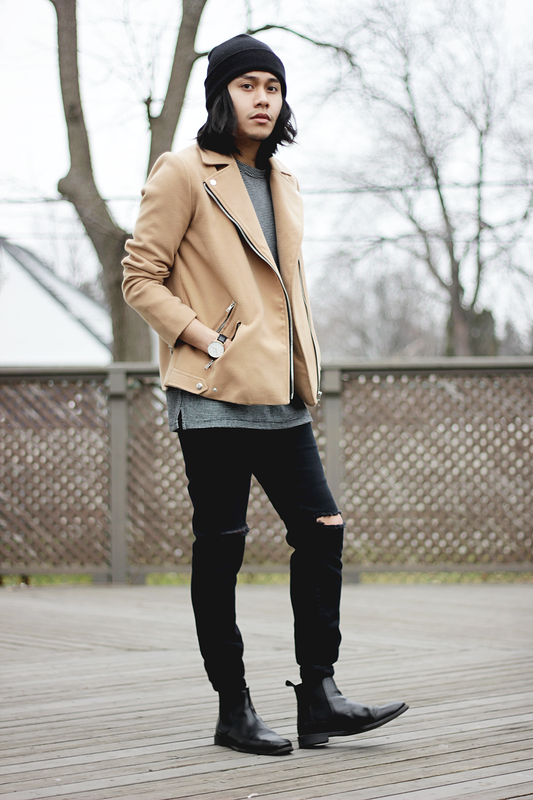 It's warm and cool enough so you can layer your staple pieces. As you can see i love wearing my black wide brim hat, It's perfect for those rainy days in fall season. 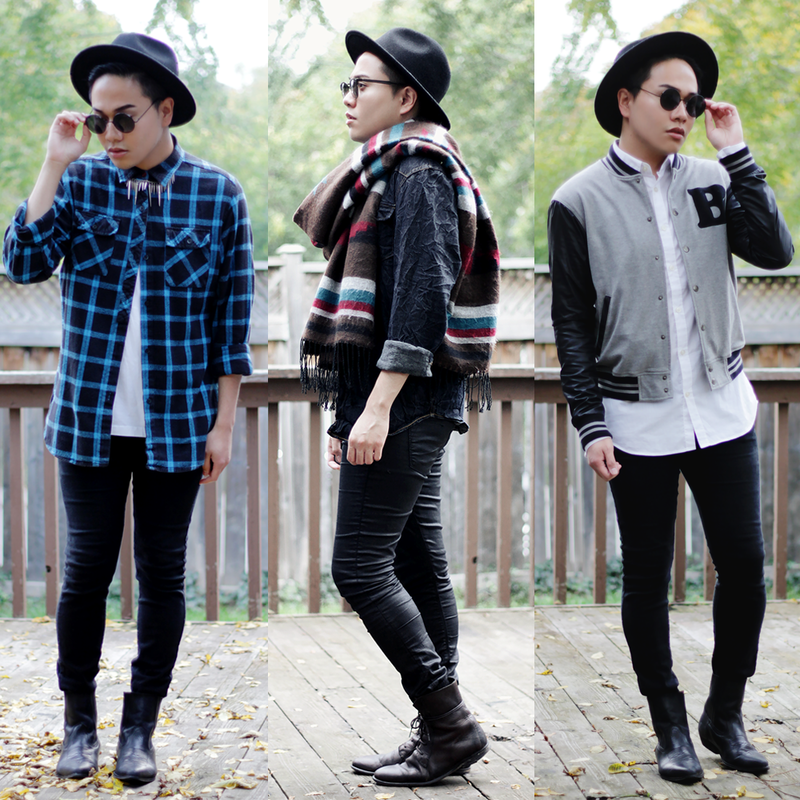 I love wearing black colors all the time but you've got to mix it with some colors like i did on these looks. Which ones are your favorites? Let me know on the comment down below. Until next time.